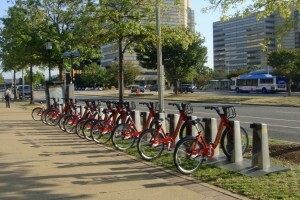 Reston may be getting closer to a bikeshare system. The Fairfax County Board of Supervisors on Tuesday endorsed the county’s applications for the Virginia Department of Transportation’s FY 2017 Transportation Alternatives Program (TAP) Grant Application. The county hopes to get $400,000 from the state as seed money for bike share program. Other projects seeking funding are Vienna Metrorail bicycle access improvements; a cinder bed bike path near the Franconia-Springfield Metro station; and improvements for bike access on Van Dorn Street in Alexandria. Applications for the grant program are due Nov. 1. 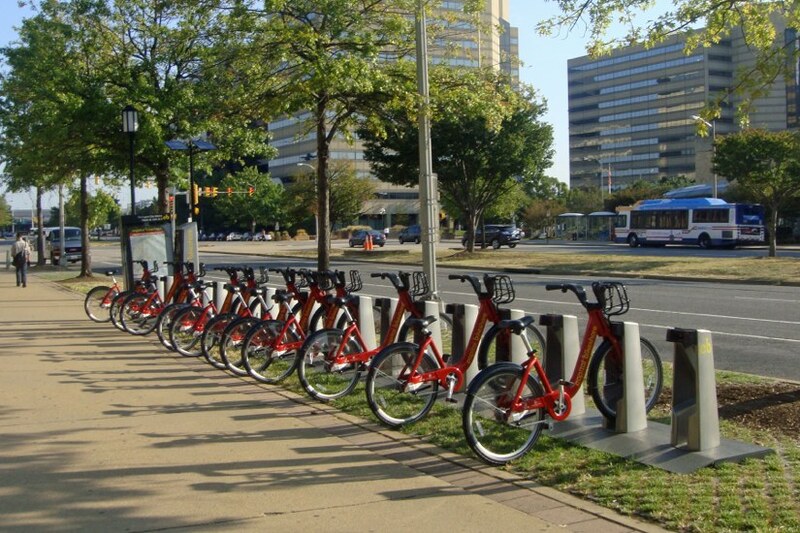 County biking authorities conducted a feasibility study on a Reston bikeshare in 2014. They will give an update on the progress of the bikeshare plan Oct. 29 at Dogwood Elementary School at 7 p.m.
Capital Bikeshare, which has suburban programs in Alexandria, Arlington, and Rockville, Md., would offer those who live and work in Reston an additional way to access the Wiehle-Reston East Metro station, as well as the future Reston Town Center station, Reston Town Center and other location. The county will request $400,000 from TAP and pay $100,000 in county funds for the program. That would leave an additional $266,000 in funding necessary to get the program started. The Transportation Alternatives Program (TAP) guidelines state applicants are required to provide a 20 percent match, with grant awards covering the 80 percent remaining. Local jurisdictions are also required to pay for any cost overruns. VDOT’s TAP regulations require the sponsoring jurisdiction to accept responsibility for future maintenance and operating costs of any projects that are funded.